“Harlem can only handle one devil at a time,” says Luke Cage in an explosive new trailer that shows the bulletproof hero will have his hands full in season two of his Netflix series. 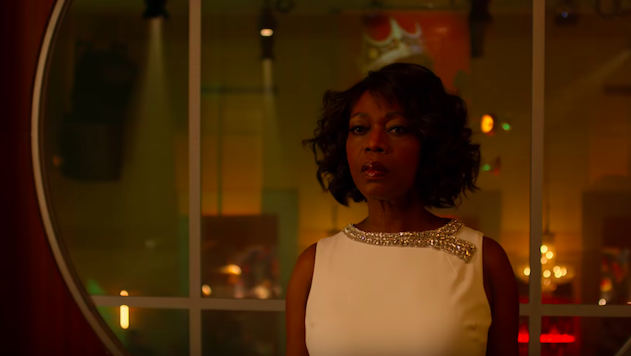 The trailer shows Alfre Woodard’s Mariah Dillard reigning as queen of Harlem—soundtracked by another queen, Lauryn Hill, on the Fugees track “Ready or Not”—that is, until yet another villain, Bushmaster, threatens to burn the city down to best her. Our hero is caught in between, seemingly trying to decide if he should really be protecting Dillard, who is just the lesser of two evils. Considering the imminent chaos, it seems only fitting that some of the other Defenders may pop up in season two, as was teased in first-look photos earlier this year. Luke Cage was one of Paste’s best new shows when it premiered in 2016, so we are excited to see what is to come when the new season debuts on June 22. Let’s just hope Netflix’s servers are prepared this time. Watch the season two trailer below.